Whether you're dreaming of a seaside celebration, a garden party, or a historic museum event, there's a venue for you in the Kennebunkport area. Even though we’ve heard of Kennebunkport as a popular summer vacation spot, it’s actually quite a small town. 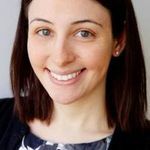 However, there are a few Kennebunkport wedding venues to choose from, especially if you’re willing to expand your radius a bit to nearby towns like Wells or Old Orchard Beach. Some of these Maine wedding venues offer waterside views, others have a more rustic feel, and still others feature lush gardens and historic details. 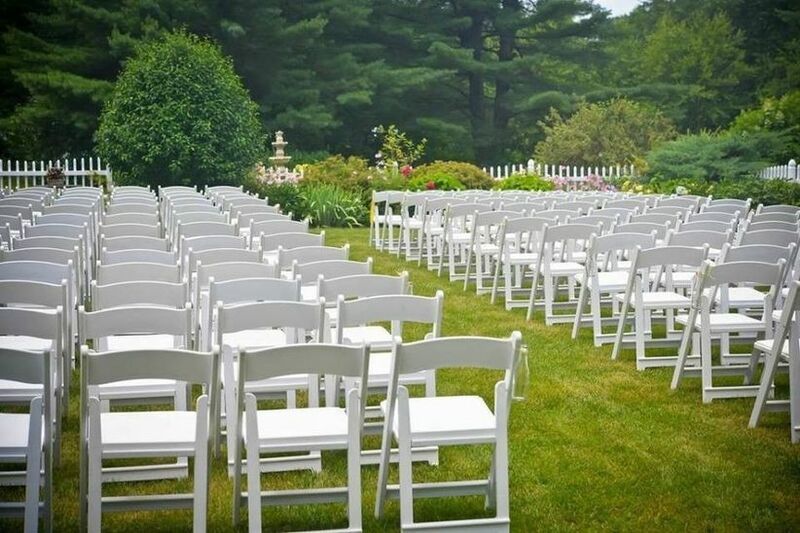 No matter what your style or guest count may be, there’s sure to be a wedding venue in or near Kennebunkport to suit your needs. And since it’s located just an hour and a half north of Boston, Kennebunkport is an easy destination for New Englanders to reach. 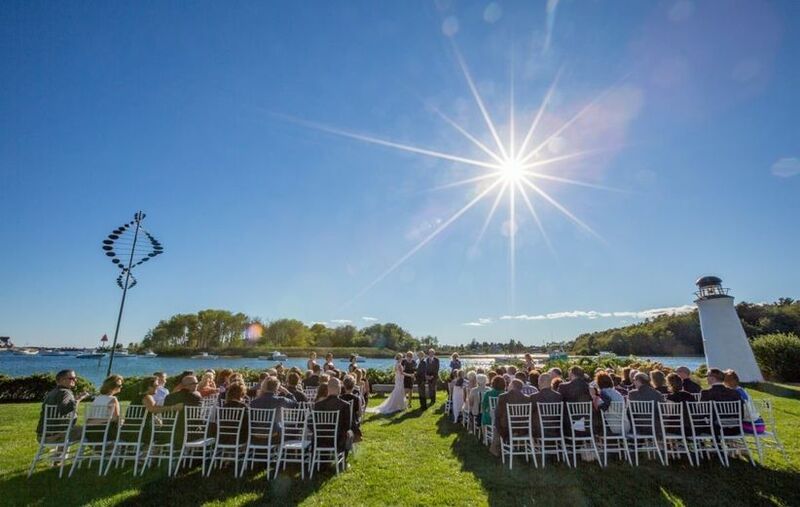 Browse some of our favorite Kennebunkport wedding venues and find the location of your dreams. 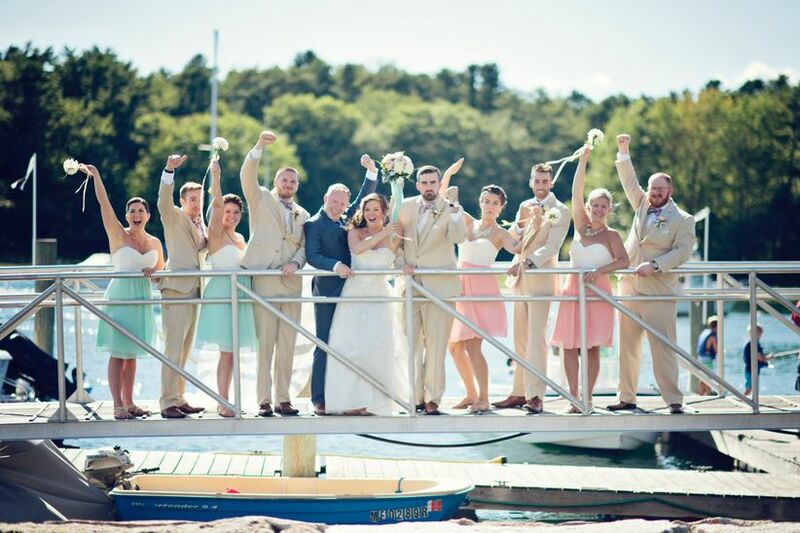 Perhaps the most well-known Kennebunkport wedding venue, this coastal wedding venue is available for weddings from late April through December. 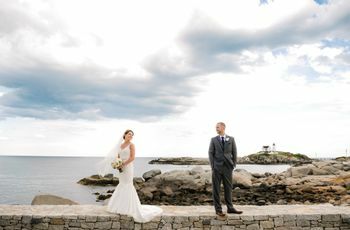 You’ll love the outdoor ceremony sites at this Kennebunkport resort, each with incredible views of the Kennebunk River (we particularly adore the lawn near the lighthouse for a nautical-themed wedding!). Receptions can be held inside the cozy grand hall, or in a Sperry Tent on the expansive lawn. Nonantum Resort can host up to 200 guests inside their ballroom, and 350 in a tent. 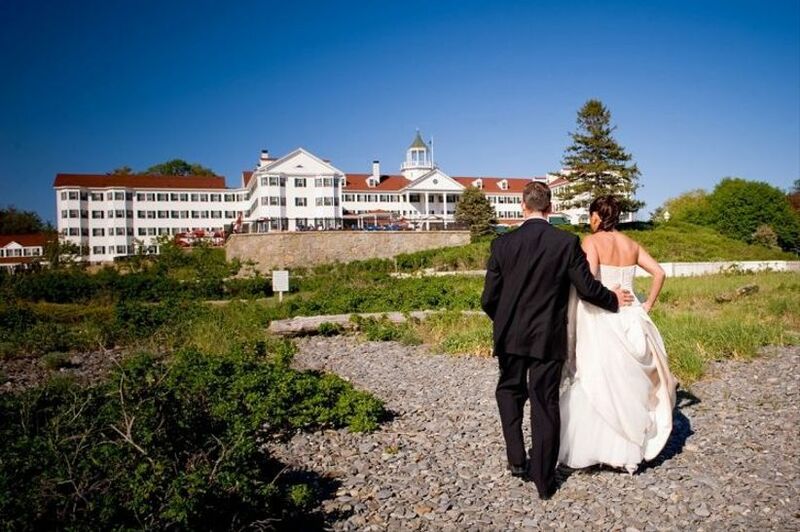 This Couples’ Choice Award-winning venue is all-inclusive, and your guests will adore staying on premises for the ultimate Maine wedding weekend, full of activities. 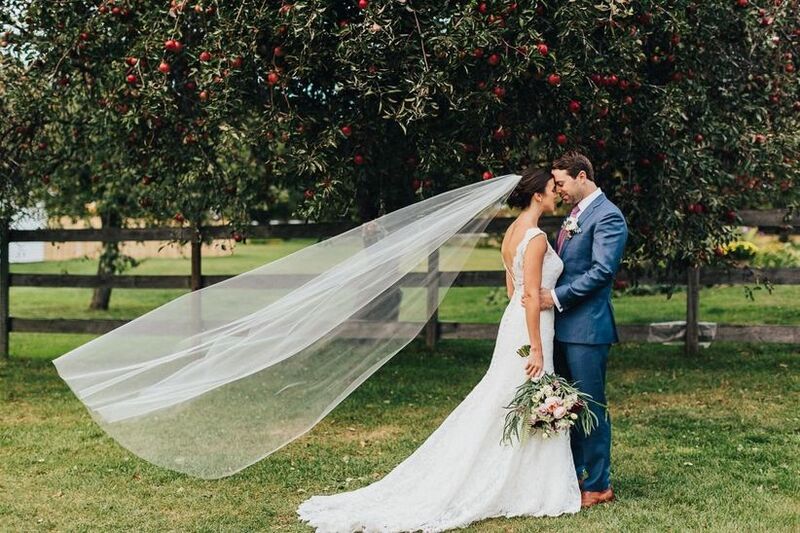 This classic Kennebunkport wedding venue is full of natural beauty, with an outdoor ceremony site complete with ocean views, and a beautifully-appointed ballroom that exudes New England style. There’s space for up to 225 guests for weddings at this hotel, and with 125 guest rooms, your entire crew can stay on-site for a true destination wedding. Couples rave about the food and accommodating staff. We love restaurant venues for many reasons, from the delicious food to the unique décor. Located in nearby Kennebunk, this quirky and intimate restaurant venue can host special events large and small—from intimate rehearsal dinners to weddings of up to 250. The rustic décor includes whimsical branch chandeliers, wooden details, and huge windows allowing lots of natural light. There’s also ample outdoor space for ceremonies and tented receptions. 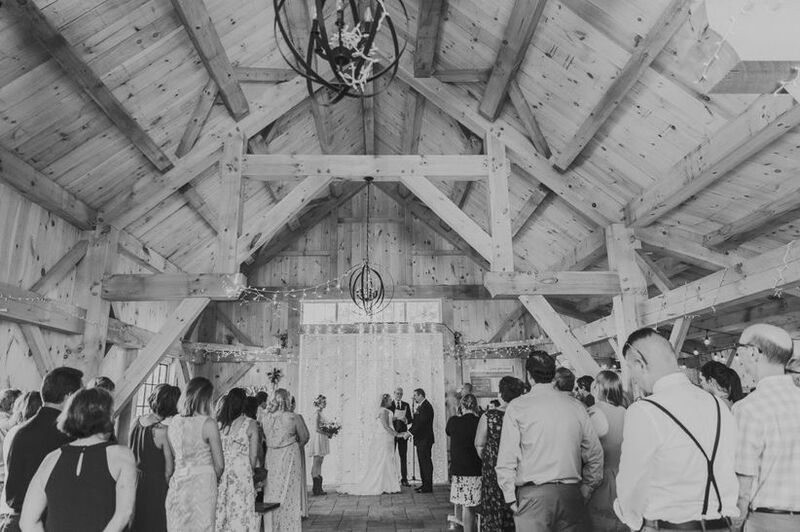 Barn wedding venues are particularly popular in Maine, and fortunately, there’s one minutes from Kennebunkport. This all-inclusive venue offers catering from a James Beard-nominated chef, and a variety of wedding packages to choose from, including tabletop rentals, farm tables, and more. 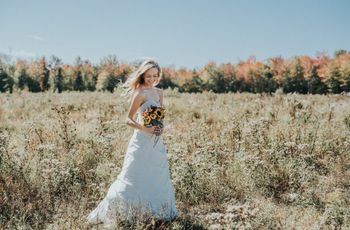 This new Maine wedding event barn hosts weddings from April until November and has room for up to 130 guests. It’s also an ideal spot for rehearsal dinners. 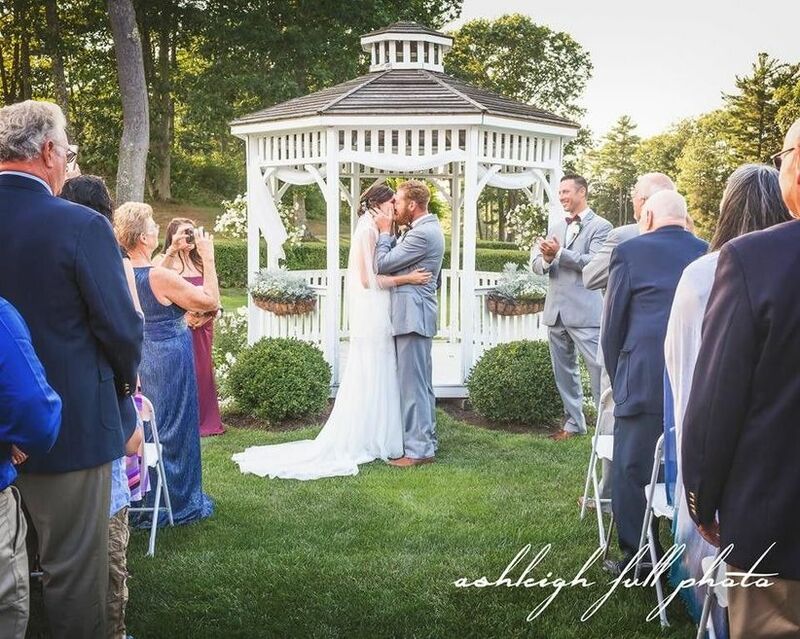 Couples looking for an affordable wedding venue in the Kennebunkport area will be delighted to find the Village by the Sea, located in nearby Wells, Maine. Host your wedding ceremony in the lovely garden, complete with romantic pergola. Receptions are held inside the Maine Ballroom, with space for up to 200 guests. This all-inclusive venue includes catering, wedding cake, all rentals, and more in their packages. For those who want to save even more on their special day should check out the off-season discounts, plus savings on brunch weddings. This is also an ideal destination wedding venue, as your guests can stay in one or two-bedroom condos on-site, which include full kitchens, private decks, and more. Museum venues are special for so many reasons, and this historic space in Wells, Maine is a prime example. The charming buildings offer a vintage feel, and the entire museum will be closed to the public on your wedding day for ultimate privacy. Ceremonies can be held in the wedding garden, and receptions inside the rustic-chic ballroom, which has space for up to 130 guests. 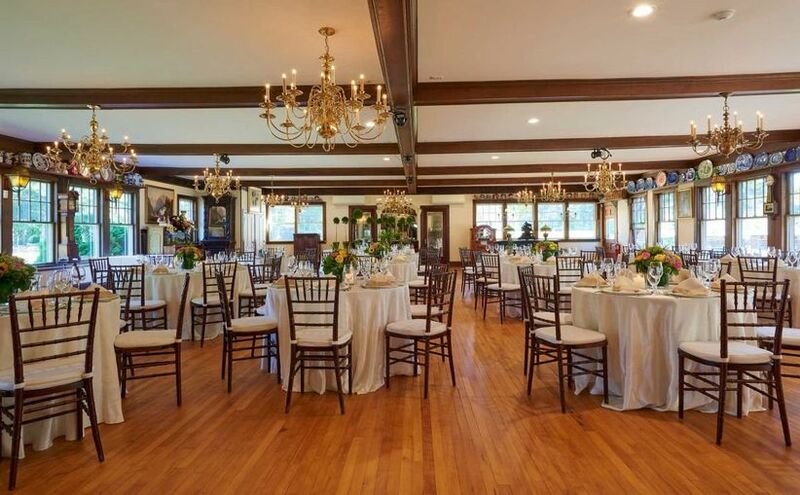 Larger tented receptions are also possible at this Maine wedding venue. There’s also a cottage on-site for all of your getting-ready needs. 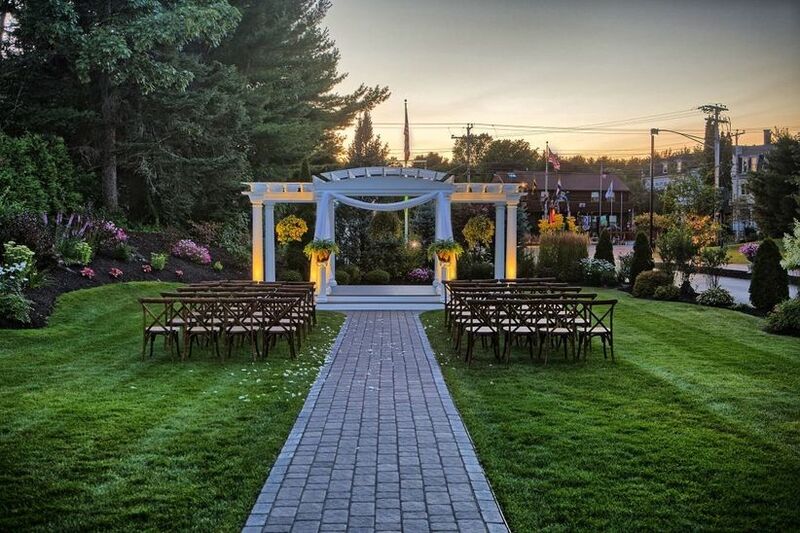 While this might not officially be considered a Kennebunkport wedding venue, it’s located just 20 minutes away in Lyman, Maine. This 18th century working farm set on 65 serene acres includes orchards, gardens, and more. Host your ceremony and reception outdoors, in a sailcloth tent, or inside the barn, depending on your guest count. Handcrafted farm tables, benches, and other vintage farm items are available to rent, adding to the rustic vibe. And, there are breathtaking photo backdrops aplenty here, from the barn to the rolling pastures, and more. 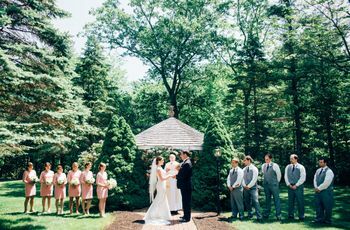 Located in Old Orchard Beach, this golf club wedding venue is about a half-hour north of Kennebunkport. This venue combines the convenience of a country club with the natural beauty of a garden and a location that’s right near the beach (hello, amazing photo ops!). The ultimate ceremony setting is in the garden, complete with gazebo. Larger wedding receptions of up to 225 guests are held in the Grand Cypress Ballroom, and smaller events (including rehearsal dinners) of up to 75 guests in the Augusta Room. There are also several all-inclusive packages to choose from, and—major bonus!—you can make your grand exit on a “Just Married” golf cart! 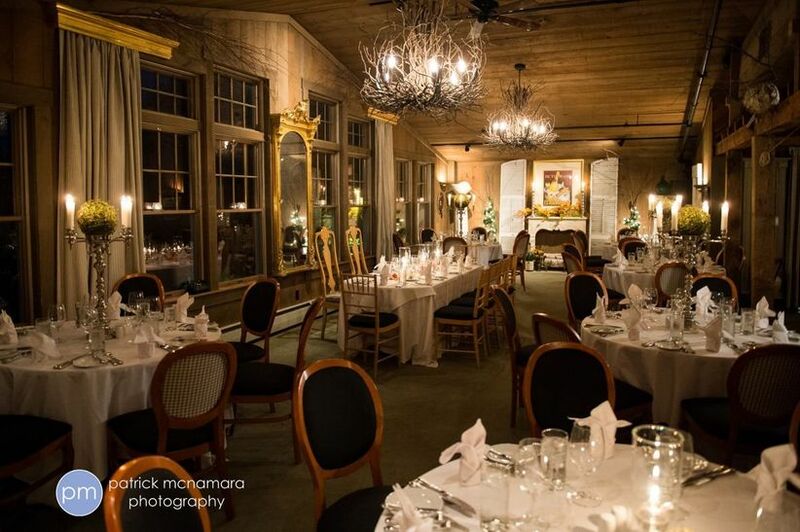 Host your special day at this Kennebunkport-area wedding venue. 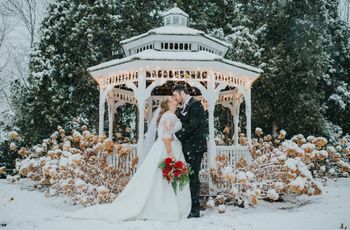 You’ll love the romantic, yet laid-back feel here, with several ceremony sites to choose from, including the Rose Garden, the Enchanted Forest, and the Wedding Bower—all lush with greenery and flora for a romantic feel. Guests can enjoy lawn games during cocktail hour, and then enjoy dinner and dancing in a tent on the property, which can accommodate up to 185 guests. And because this is a garden design store, fresh, seasonal flowers are easily available for your wedding décor.